Hello! Welcome to the home page of Annabelle Claire Stier-Wood and Naomi June Stier-Wood. Here you will find links to pictures, sound files, and other interesting things related to Annabelle and Naomi. Check out the links and enjoy! Annabelle and Naomi Windows Wallpaper! The link below is to an image file that is suitable for use as a Windows wallpaper! 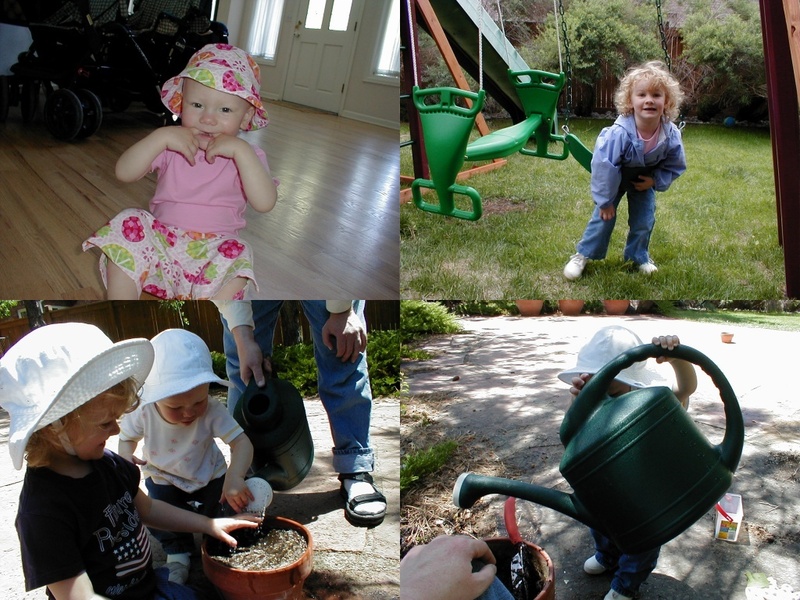 The image contains four pictures of Annabelle and Naomi having fun, clowning around, and even doing some gardening in May and June 2003. Just click the link to load the wallpaper image into your browser. When the image appears, just right click it and then select "Set as Background" or "Set as Wallpaper." When finished, close the web page window to return to this web page. Note: The wallpaper is a 1024 pixels by 768 pixels JPEG (.JPG) file. It is approximately 250,000 bytes in size. Please be patient while it loads into your browser. 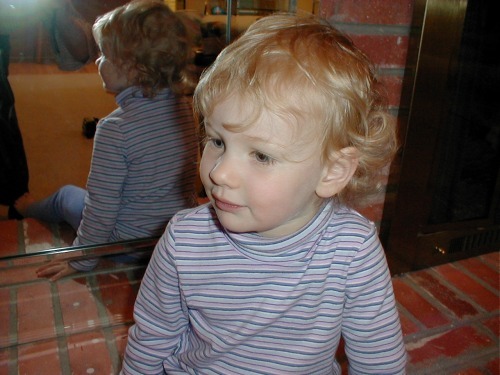 Three Pictures from October 2002! Naomi and Annabelle Duet! 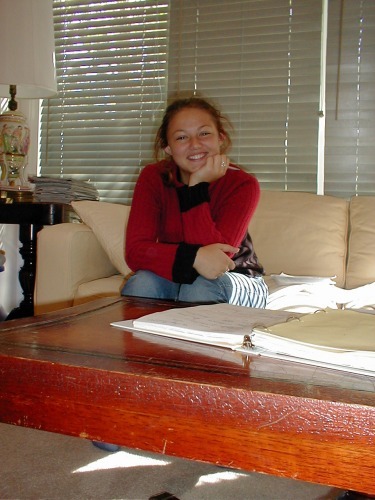 One day in the Spring of 2003, Naomi began to play the synthesizer in my home office. She played strange and beautiful music. Her sister, Annabelle, not to be outdone, joined in, playing a percussive bass line, among other notes! I recorded their composition as an MP3 file. Note: This is a large file (3.6 megabytes). If you have a slow connection to the Internet, such as a telephone modem connection, please be very patient while the file loads.